Machinery trailers or equipment trailers are specifically designed for the purpose of hauling equipment and machinery which are required every day in every industry. They help in transporting essential equipment from one location to another, thus enabling operations to run smoothly. There are a lot of specific advantages as well as other factors which need to be kept in mind before selecting a machinery trailer. All important factors regarding machinery trailers have been discussed below. In order to get the best machinery trailer, ease of use- especially loading and unloading- is of utmost importance. In this front, the detachable machinery trailers are the most trending amongst all the machinery trailers in the market. They provide with a low deck height, which allows the user to easily load and offload the equipment. The detachable type is typically used to haul heavy equipment which is otherwise difficult to load. In addition to this, the low deck keeps the center of gravity of the vehicle low, which also increases the stability factor for the vehicle. Another important decision to be made is to select between the mechanical and hydraulic types of models. The hydraulic models are easier to handle because they use hydraulics to lower down the deck of the trailer. This ensures much more ease in the loading of equipment. One of the factors that are worth considering while buying a hydraulic model is the weight factor. Hydraulic types are heavier and increased the weight load of the trailer. The mechanical models, on the other hand, are much more simplistic in design and can be maintained more easily than the hydraulic models. Space, in a machinery trailer, is very valuable, as each square inch is potentially the chance to load more equipment. In this field, the sliding axle trailer type is the best option. In this type of trailer, the axle at the bottom can be moved forward and backward via hydraulic power thereby lowering the bed of the trailer. This allows loading of equipment much easily and also of loading equipment which usually needs ramps for loading. 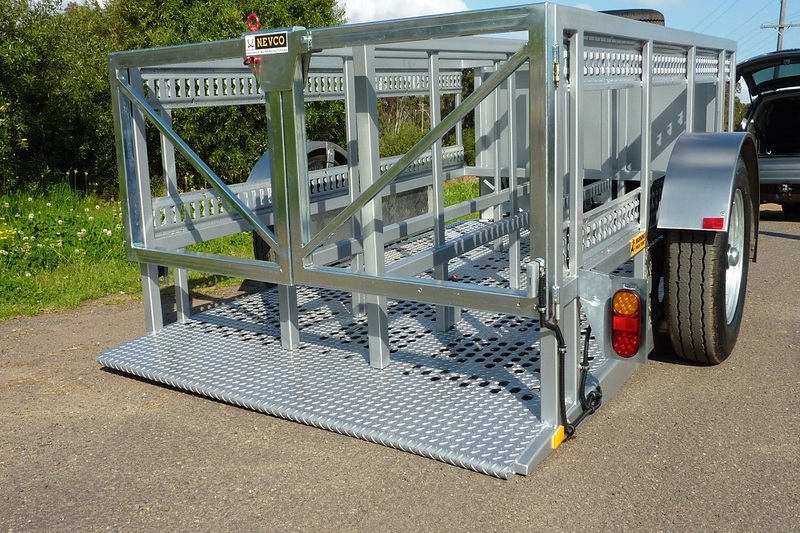 This design also specifically increases the amount of space available on the trailer bed for machinery and equipment. They do however have a slightly higher weight. However, in general, they are the best options to buy for hauling most of the industrial grade equipment, especially those with height restrictions. Economical sustainability is obviously one of the major factors that owners consider while buying a mechanical trailer. Beavertail trailers provide the best economical option to customers looking to get the most value for their money. They are mechanical models, simple in design and relatively easier to maintain. This type comes with higher ground clearance. Although this increases the effort in loading equipment to some extent, it also provides a significant advantage in rough terrains, where high clearance is an absolute necessity. To sum up, machinery trailers are one of the mainstays of today's industry, as they haul important pieces of equipment and machinery all across the country to their location. There are a number of types and models of machinery trailers, each of which provides a certain set of advantages which makes them useful for a particular situation. Selecting a machinery trailer can, therefore, be a difficult task. But with the help of the important facts mentioned above, any customer can get the best machinery trailer he or she is looking for.